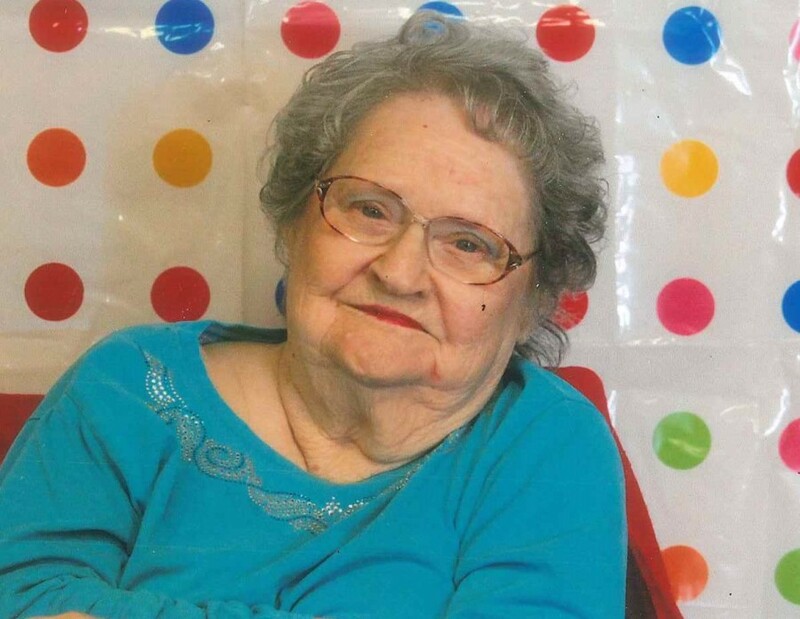 Lois Ellen Hinnen, 91 years old, of Browning, Missouri, passed away Friday, August 17, 2018 at Indian Hills in Chillicothe, Missouri. Lois was born May 17, 1927 to Glen and Augusta (Wood) Cooper. She married Charles Robert “Bob” Schriener and four children were born to this marriage. She later married Marvin Hinnen, they both preceded her in death. Also preceding her: a daughter, Pam Crook in 1992; two sisters, Wilma Wackerly and Glenda Troost; and a brother, Donald Cooper. Survivors include: Three children, Rogene Stuedle (Gale) of Pittsburg, Texas, Sherri Hedges (Kenny) of Browning, and Darien Schreiner(Stacey Bennett) of Browning; 9 grandchildren, Nathan Stuedle, Weston Stuedle, Vanessa Ford, Joel Stuedle, Derick Schreiner, Josh Hedges, Megan Schreiner, Emily Schreiner, and Caleb Schreiner; 13 great grandchildren; a sister, Lizzy Bagley of Brookfield, Missouri; and several nieces and nephews. Lois lived most of her life in Linn and Sullivan counties. She was a member of the Browning United Methodist Church and a past member of the American Legion Auxiliary. She taught school one year, but most of her life she was a homemaker, seamstress, and Mother. Lois enjoyed crocheting, quilting, and liked to dance. Funeral services will be 2:30 P.M., Sunday, August 19, 2018 at the United Methodist Church in Browning. A scheduled visitation will be held at the church from 1:30 P.M., Sunday until the time of service. A private inurnment will be held at a later date at Pleasant Grove Cemetery, near Purdin, Missouri. Ruschmeier Funeral Home is handling arrangements. Memorial contributions are suggested to Pleasant Grove Cemetery.